Cobra has launched a few really fascinating concepts in 2017. Following the signing of Bryson DeChambeau, Cobra has introduced One Length Irons (all the irons are the same length of a standard 7 iron) for retail purchase in both the King F7 and King Forged Tour Irons. In addition, they have incorporated Cobra Connect powered by Arccos with into the King F7 and King F7+ Drivers for real time stats on the course. The multi-material TexTreme crown of the King F7 driver yields a 20% lighter crown which redistributes weight lower and deeper into the club head, producing a lower CG and increased forgiveness. To create a lighter, thinner and hotter club face, Cobra re-engineered the variable thickness forged TI-811 E9 Face. The result? A larger sweet zone across the face and increased ball speed and distance off the tee. Players of all skill levels and handicaps. 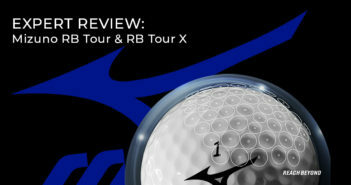 The 3 weight ports on the sole allows players to tailor the weights in a configuration that will help all swing types. Cobra took big strides with the King F6 driver, and have taken even bigger strides with the 2017 King F7 driver, my favorite Cobra driver to date. While the head shape is slightly large for my personal liking, it is a thing of beauty (the King F7+ has a slightly smaller and more preferable head size for me). The diamond inlay crown is a pure eye catcher, as is the square look to the face. The ball flight and mid-high, flat launch angle are spot on for my eye, and the acoustics are much improved compared to the 2016 version. This head just feels more solid. Most fascinating though is the Cobra Connect powered by Accros. This is truly game changing technology built right into the grip. The only drawback is that you must order a new grip from Cobra when they wear out. Cobra made a very smart design with the 3 configurable weight ports. The three ports are about perfect, in my opinion, to fine tune the CG. Plus, Cobra offers additional weights for sale if you’re interested in making the head heavier or lighter. Lots of good stuff to check out with this driver. Like the regular King F7 driver, the Cobra King F7+ driver features a multi-material TeXtreme crown. This yields a 20% lighter crown, redistributing weight lower and deeper into the club head and produces a lower CG and increased forgiveness. To create a lighter, thinner and hotter club face, Cobra re-engineered the variable thickness forged TI-811 E9 Face. The result? A larger sweet zone across the face and increased ball speed and distance off the tee. The Cobra King F7+ driver is for players of all abilities. Players who prefer the look of a more compact driver should take a look at the F7+. I tested the King F7+ driver with the True Temper HZRDUS Yellow shaft, a shaft that I have personally played some with. It performed slightly better than the Fujikura Pro XLR8 61 for me, and by better I mean less spin. The main difference between the two heads are size and crown finish. The F7+ has a mostly matte finish while the F7 sports a glossier, flashier finish. Personally, I prefer the glossier finish because it shows off the carbon fiber pattern much better. Again, I think it is important to mention the Cobra Connect powered by Accros technology built into the grip. It is a cool feature that I would love to see more OEMs jump on board with their own versions. Cobra has designed the King F7 fairway metals with some familiar technology combined with some new. Choose between two CG settings and eight MyFly 8 with SmartPad settings to produce differing ball flights that optimize your distance and trajectory to the conditions you are playing. The progressive Baffler Dual Rail System provides improved turf interaction and consistency out of all lies from shallower or steeper rails depending on the club loft and angle of attack. Cobra says the rails have been designed to minimize the contact point on the ground which acts as a Smart Pad to maintain a square club head at address regardless of the loft setting. With its various configurations, the Cobra King F7 fairway metals are for players of all abilities. The Cobra King F7 fairway metal produced an interesting result for me. In the initial neutral weight setting I found the 3 wood very easy to hit from the turf, with an excellent launch angle and spin rate, while off the tee it had a slightly high launch angle for my liking. When I switched the weights the launch angle was near perfect off the tee and slightly higher angle than I prefer off the deck. I preferred the second setting more. The feel, sound and setup at address all pass the test. The rails on the 3-wood are the least pronounced, but still worked in the rough, if it’s not too heavy. Compared to the 2016 fairway metal I liked the shorter, less pronounced design of the 2017 version. All in all, a good fairway metal to have in your bag. The King F7 hybrids incorporate a single fixed rear weight positioned low for a deep CG. 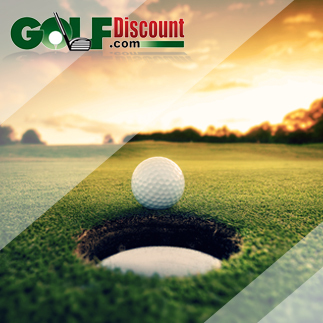 The results are a high, towering ball flight with extreme distance and forgiveness. Like the King F7 fairway metals, the F7 hybrids also utilize the progressive rail design of the Baffler Dual Rail System. When testing hybrids I look for two main things, launch angle and hook bias. The Cobra King F7 hybrids launch a little higher than I personally like, but this is a great option for players with issues elevating the ball with their hybrids. There is a slight draw bias, but that is a good thing for the majority of players out there. The head shape is excellent, not too wide, narrow or short. I love the added depth of the Dual Rail System, especially on shots in the deep rough. Cobra incorporated some very good additions to the King F7 hybrids. The ONE Length and Variable King F7 irons are both progressive sets that feature a full hollow head on the 3 iron thru 5 iron, a half hollow head for the 6 and 7 irons, and a cavity back head for the 8 iron thru PW. The King F7 irons utilize Cobra’s TECFLO construction with new PWRSHELL faces for added distance, precision and forgiveness, and T.O.P. for lower CG. The thinner, stronger 17-4 stainless steel L-Cup face is coupled with a re-engineered sole construction designed for speed. 100% CNC Milled Grooves improve structure which increases spin and optimizes trajectory throughout the set. Centered CG is a process that removes weight from the center of the club head and redistributes lower and further back. The King F7 ONE Length irons can be played by any range of player, but they are suited best for players with a 7 thru 36 handicap. Players that are looking to be reproduce the same swing on a more consistent basis should benefit from the concept, too. Let me start off by saying the Cobra King F7 ONE Length irons are very interesting. Anyone who decides to give these irons a try will need to exercise a bit of patience while they get used to the differences from normal length irons. I tested the 5, 7 and 9 irons, but I mainly concentrated on the 5 and 9 since this was all new to me. Part of my job as a club tester is to highlight some features that may go unnoticed. The F7 ONE irons have a fully milled face (see above for what it does for a club), which is more of a feature typically seen on sand wedges or very high end iron heads. Cobra made the bottom groove the exact width of a golf ball and filled it with white paint. A simple, yet clever idea that really, really frames the ball well at address. Even though both of these features are small I appreciate the attention to detail Cobra has put into these irons. You’ll definitely notice the tungsten weights that are added to some of the heads. They are necessary to get the correct swing weights. At address these irons have a typical thicker top line with offset. Normal stuff, but what was not normal was the feel. I was expecting the “normal” click sound from the larger cavity back that I tend to hear when testing Game Improvement heads, instead I got a very solid, crisp feel from all three lofts that I tested! What about the ONE length you ask? Here is what I personally took away from my testing. The 9 iron felt very funny in my hands and produced a much higher trajectory with a bit more distance. The 5 iron did not feel as bad in my hands and produced a lower launching shot than my normal 5 iron. All this makes sense, though. A longer club (9 iron) produces more speed and more spin, which equals a higher launch and more distance. A shorter club (5 iron) produces less spin and less distance, thus a lower launch and slightly less distance. Not only will it take some getting used to playing a set of irons all one length, but you will have to relearn your yardages. If you do not like hybrids and struggle with your 3 thru 5 irons, I would suggest trying these out. The King F7 ONE Length irons are an interesting concept for sure. The variable length set is basically the same construction as the ONE Length set, incorporating all the same technologies. The main difference is how the heads are weighted. As mentioned in the ONE Length King F7 review, these irons are for pretty much players of all abilities. Testing the two clubs side by side I really did not notice much difference between the King F7 and King F7 ONE Length irons. Cobra did an excellent job with weighting the ONE Length set and not making some of the heads feel too heavy. Though, some players will be able to tell that there is a difference. The Cobra King F7 irons are excellent clubs. I really loved the feel the most, very easy to hit. The King forged irons include high density tungsten weights strategically positioned on the sole of the club head. The lowered and more centered CG delivers forgiveness and precision. The TPU(Thermoplastic Polyurethane) Insert, which is located behind the hitting zone on the medallion, damps vibrations and improves feel like a pure muscle back iron. CNC Milled Grooves improve groove and face structures that deliver maximum spin and trajectory. The KING Forged irons, like the Forged Tour, are for players who need a larger sweet spot compared to the KING Pro Irons. Plus to 12 handicap players will be more interested in these than the King F7 ONE Length. And, of course, players that are more on one swing path already will be comfortable with these much quicker. I felt the variable length Cobra King Forged Tour irons fit my swing better than the ONE Length version. If I was going to put a ONE Length into play, it would the King F7 version because of the extra forgiveness and distance. However, I really enjoyed these, especially the feel that they produced. Now just choose a setup that fits your needs and go for it! Pretty much the same technology as the ONE Length, but with different overall weighting and a different colored grip. Please read the King Forged ONE Length review for details. The KING Forged Tour irons are for players who need a larger sweet spot compared to the KING Pro Irons. Plus to 12 handicap players will be more interested in these than the King F7 irons. The King Forged Tour irons fit nicely between the King Pro and King F7 iron sets, but still offer up a smooth, buttery crisp feel forged heads are known for. Looks-wise, there is a lot less offset and they are a smaller head than the King F7 irons, which is to be expected. The top line and toe shape are very traditional for this type of head. With a gorgeous satin color with black and orange trim, these look clean and simple. Just the way I want it. Like the King F7 irons, I saw the same basic results from these heads when testing the 5, 7, and 9 irons, except for more height which is due to more loft on all of these heads. The grips on this set are slightly built up to be just like Bryson DeChambeau’s, and I like this. I personally liked the variable length version better than the ONE Length, these are excellent Players clubs.